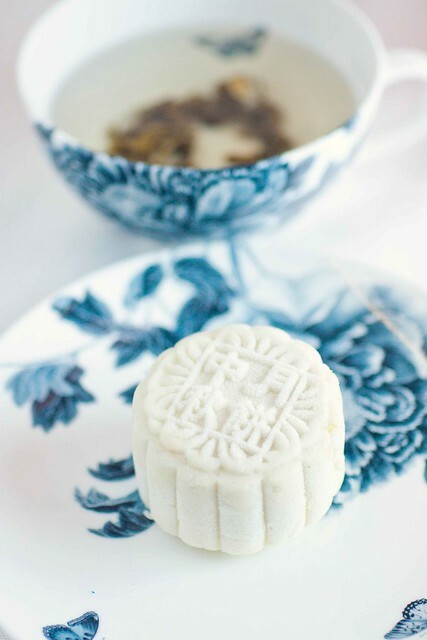 Compared to the traditional baked mooncake, the Snow Skin Mooncake is even more beginner friendly. Not requiring baking of any sort, the process only involves mixing of cooked glutinous flour (store bought), sugar and shortening before wrapping this dough with the ready made filling. To be honest, I have never been a big fan of the Snow Skin Mooncake and am even a lesser fan of it now that I realise that it involves the mixing of uncooked shortening.... However, the snow skin wrapping does open up possibilities for more intriguing flavour combination, something that is less rich. I have always for example wondered about the Mango Pomelo mousse like filling in Goodwood Park Hotel's creation. This year, they have even introduced a new Lychee With Lime Marshmallow flavour. For me, the Durian Mooncake will always be associated with Goodwood Park Hotel. They have made it wildly popular more than 10 years ago. 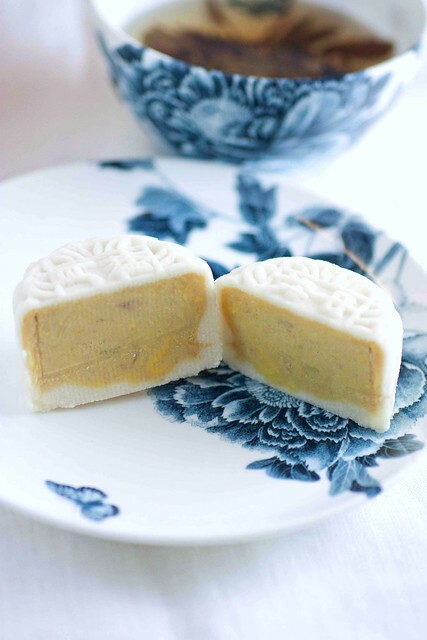 Though some better ones have been offered by other bakeries, the Goodwood Park durian mooncake will always have a special position among the durian mooncake lovers. I have no idea how the durian mooncake is being made but was game to give it a go. Working with 100% pure durian pulp, I cooked this first over fire to remove as much moisture as possible. Next, I tried to semi freeze the portioned durian pulp in the fridge before wrapping them. I have to concede, this is not easy. I had trouble with the degree of firmness of the frozen pulp - it can neither be too hard nor too soft. Then the snow skin poses another problem - it has to be just malleable enough to ensure that the skin does not break or crack during the wrapping process. I made a batch of dough but was only able to get 4-5 decent looking mooncakes. 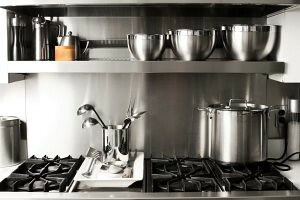 (the recipe should yield 20!) I doubt that I am doing it right but at least I have a couple to show off... So if you have any good tips to make these, please do share. I am submitting this entry to Aspiring Bakers #11: Mid-Autumn Treats (September 2011) hosted by Happy Home Baker. 1. Cook durian pulp in a heavy bottom saucepan until boiling. Add sugar and stir until it is completely dissolved and relatively dry. Cool down to room temperature. Portion into 50g portions and freeze. 1. Sift all dry ingredients together. Add shortening and mix well with the dry ingredients. 2. Add water gradually to the flour and mix to form a dough. 3. Leave the dough to 'proof' for 20mins. 4. Portion out the dough into 30g portion. Flatten and wrap a 50g portion of the durian pulp. Press with mooncake mold and store in freezer. OK I have been Googling those mooncake molds:) You have convinced me.. Absolutely beautiful! May i ask what size yours is? Hi Monique- Mine is 5cm in diameter. Your snowskin mooncake is gorgeous. I'm surprised they are relatively easy to make, considering how beautiful they are. They look lovely! Hmm an alternative is just to get the durian lotus paste frm KCT and add in melon seeds. I'm not sure if wrapping the fresh durian paste inside the durian lotus paste will work. Hi Christine - I deliberately wanted to move away from Lotus paste. The durian is already very rich. I don't think the combination of lotus paste and durian will work together. And personally, I dislike the durian flavoured lotus paste... but that's just me. Looks gorgeous and I can understand the difficulty you faced in wrapping the paste, I would be so lucky to even get one good one! Oh and yes, shortening?! Definitely less snowskin mooncakes for me in the future. Ahh ok. My friend simply wrapped durian pulp inside the snowskin. But she did really mini ones. Till today I have no courage to try it cos I foresee it'll be qt messy! 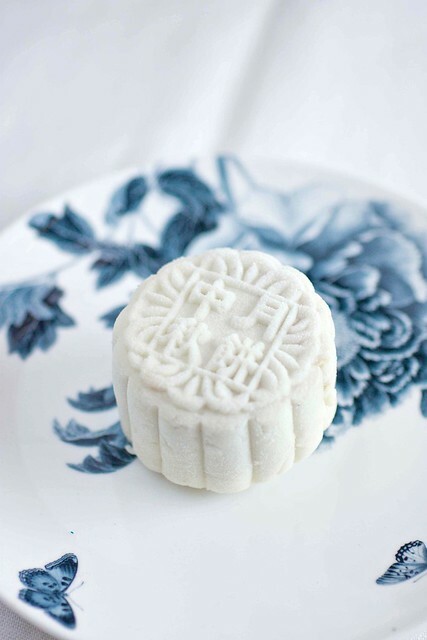 If u manage to work out how to create snowskin mooncake, pls share w us. I love how pure and "snow" white they look ;p. Unfortunately even after sampling the superior durian of Singapore, I still think it tastes a bit oniony haha. These are so pretty though that I'd probably be seduced into trying one. Great job with unmolding them! Wow, this is awesome, this makes me think of snow white :) So beautiful! These mooncakes look so pretty! Shirley, these are gorgeous. I love how the blue/white plate brings out the snowskin pattern. 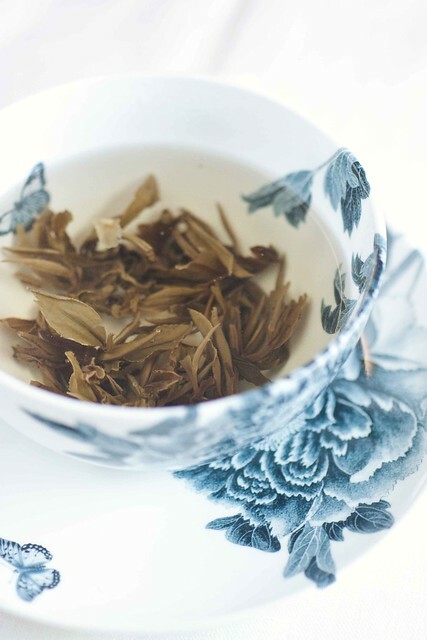 Just wondering if you had added the paste with a bit of white lotus, would it have been easier to manage? I should be posting my batch up this weekend. Overdose now on the baked versions in the office. Think I have sampled at least 10 different types so far. oh lovely! I'm craving for the sweetness of mooncakes for sure. And this really does appeal to me with durian. Glad you took that step to make this. After your description of how you cook, chill and painstakingly getting the right texture for both filling and skin dough, I truly applaud you. I guess this durian snowskin mooncake is not under begininer's category then.  but your end result looks flawless and as good as Goodwood Park's ones. Those that are not as pretty? Keep them in the tummy! Lol! Happy mid autumn festival Shirely! I knew someone will make durian version of mooncake or snow skin ones.... It will be quite hard to work with mooncake. How long did your hand smell for? Looks very pure to me...the snowskin and the durian paste. Very beautifully made. Happy mid-autumn festival to you! Snow white mooncakes! Durian mooncakes from Goodwood Park Hotel is really a classic! These are just so gorgeous. I need some of those moulds, now! I love fresh durian in mooncakes. Unfortunately, I am not a fan of snowskin. Recently tried Tai Thong's lotus paste mooncake with sambal in place of egg yolk. I liked it.